The Piasecki H-25 Army Mule/HUP Retriever was a compact single radial engine, twin overlapping tandem rotor utility helicopter developed by the Piasecki Helicopter Corporation of Morton, Pennsylvania during the late 1940s and produced during the early 1950s. The company changed its name in 1956 to Vertol Aircraft Corporation and subsequently was bought by Boeing Aircraft Company in 1960, and became Boeing-Vertol. The HUP was produced for the navy in four versions: HUP-1, -2, and -3. The HUP-2 was the first production helicopter equipped with an auto-pilot. The US Navy also tested a system called ‘Raydist that allowed an unmanned HUP-2 to be directed from a ground station and by radio ordered to hover within five feet of the desired point. Edo tested a HUP-2 with a fiberglass hull and outrigger floats for amphibious operations. In addition to those delivered to the U.S. Navy and Army the HUP/H-25 helicopter was also delivered to the Canadian and French Navies. A total of 339 aircraft were delivered over the 20-year life of the aircraft. 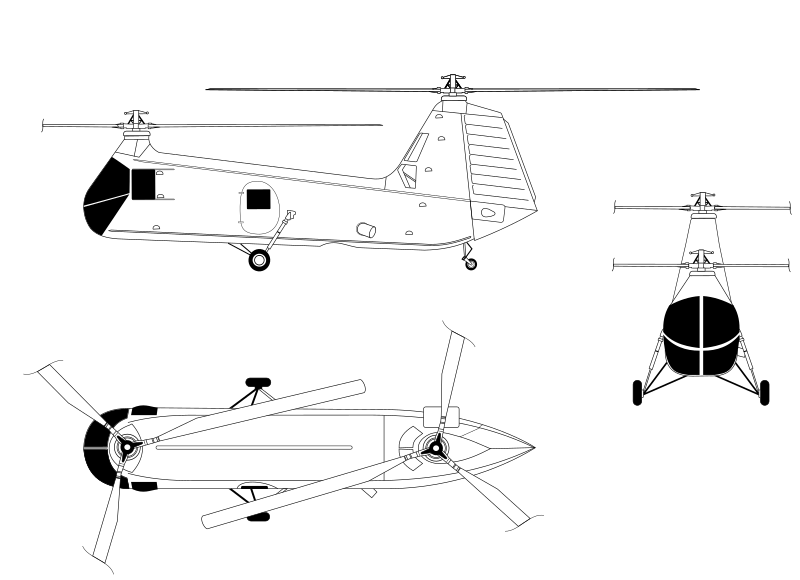 The first two pre-production examples. Piasecki-Vertol designation was PV-16. Utility transport, search and rescue helicopter for the US Navy, powered by a 525 hp (391 kW) Continental R-975-34 piston engine. 32 built. Piasecki-Vertol designation was PV-18. Improved version, powered by a 550 hp (410 kW) Continental R-975-46 piston engine. 165 built for the US Navy, 15 for French Aeronavale. 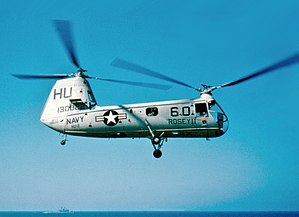 Redesignated UH-25B in 1962. Utility transport version powered by a 550 hp (410 kW) Continental R-975-46A piston engine. Similar to the H-25A, later redesignated UH-25C in 1962. 30 built, including 3 for the Royal Canadian Navy. Utility transport helicopter for the US Army, powered by a 550 hp (410 kW) Continental R-975-46A piston engine, fitted with large doors, power-boosted controls and strengthened floors. Seventy were delivered from 1953, but they were unsuitable for front-line use, with 50 transferred to the navy from 1955, and the remaining helicopters used for training, being withdrawn from army service by 1958.